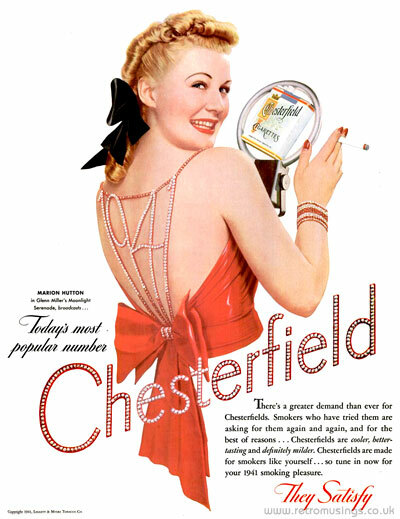 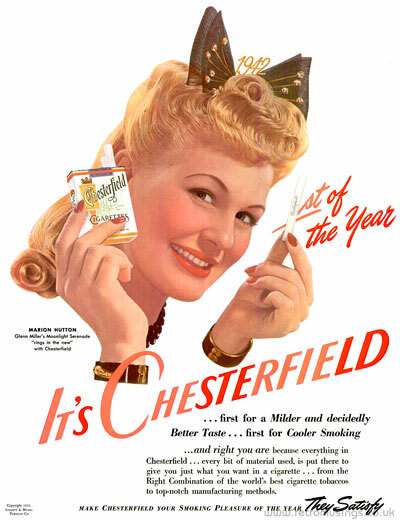 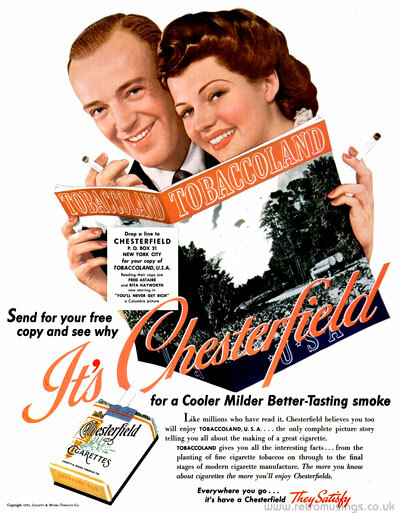 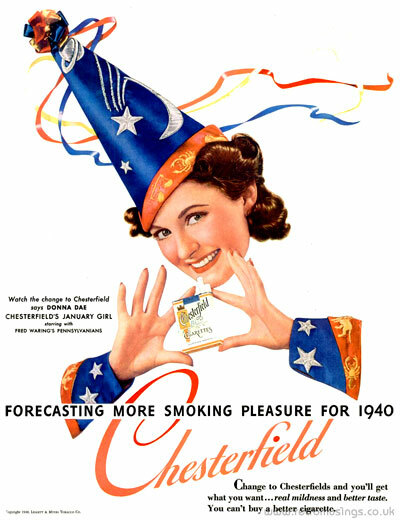 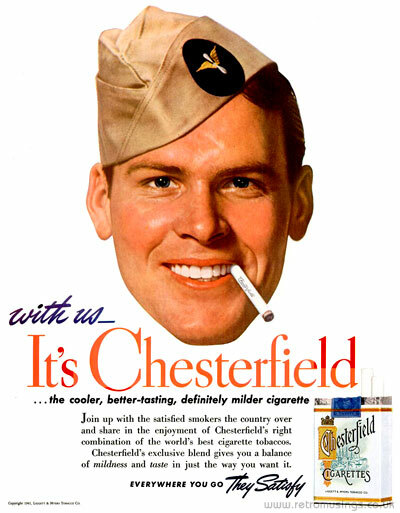 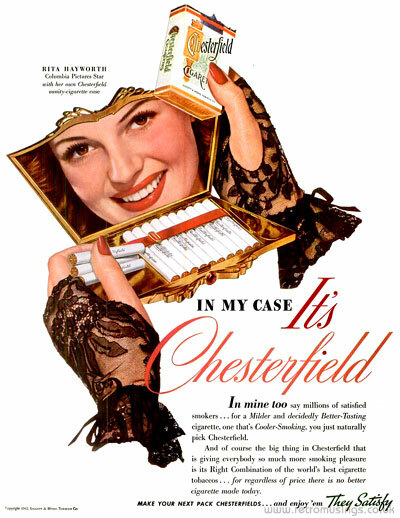 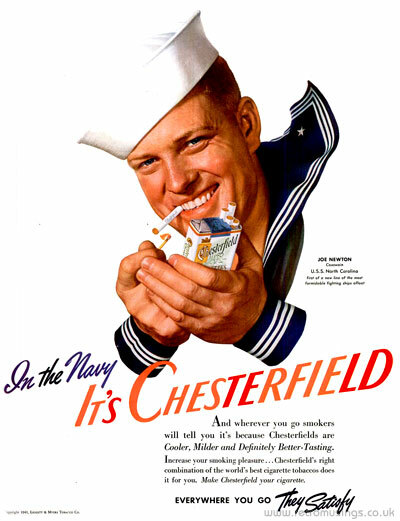 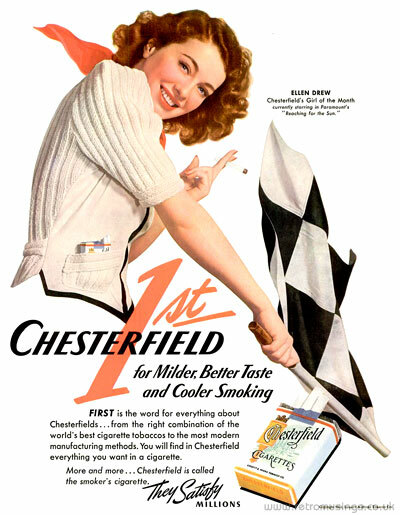 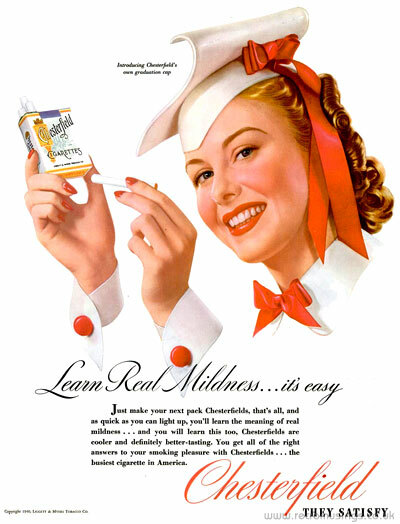 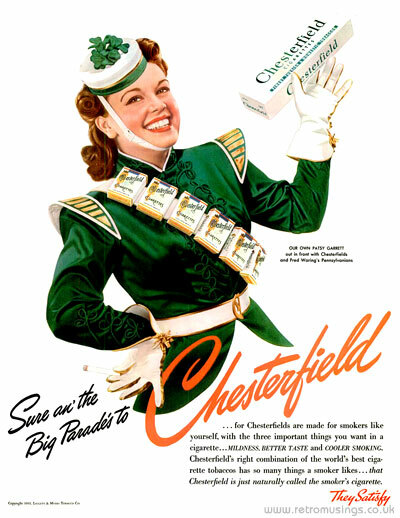 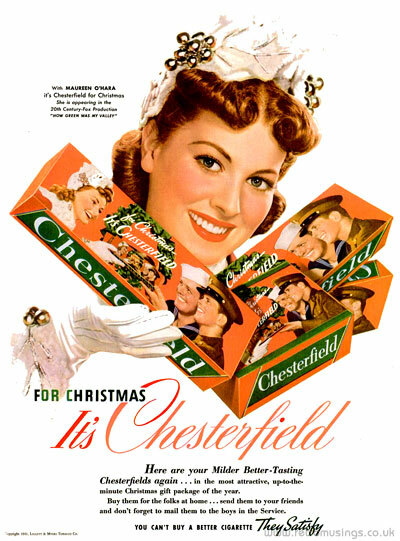 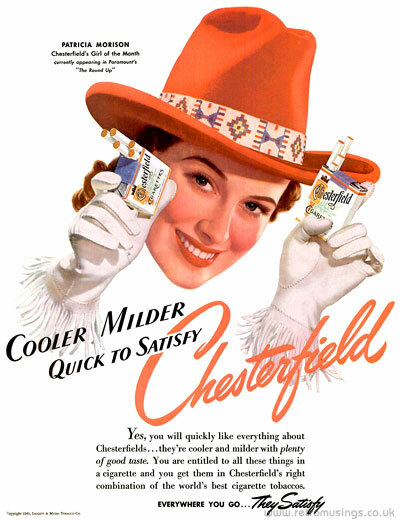 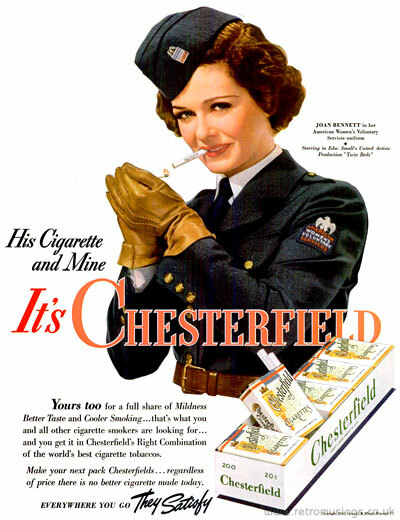 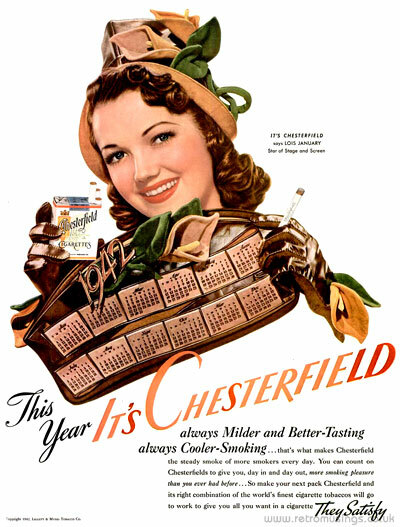 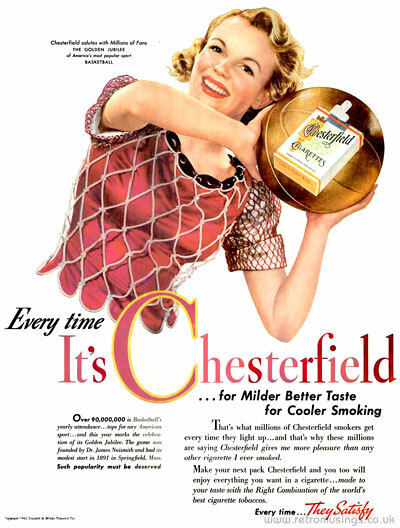 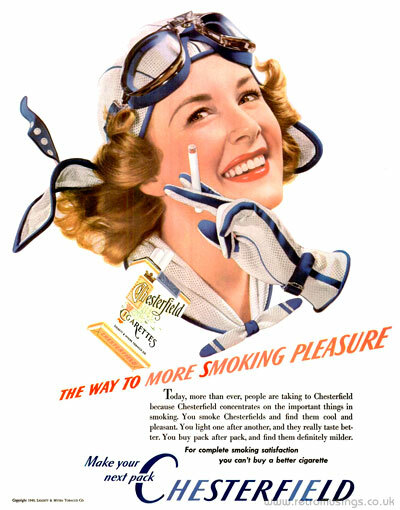 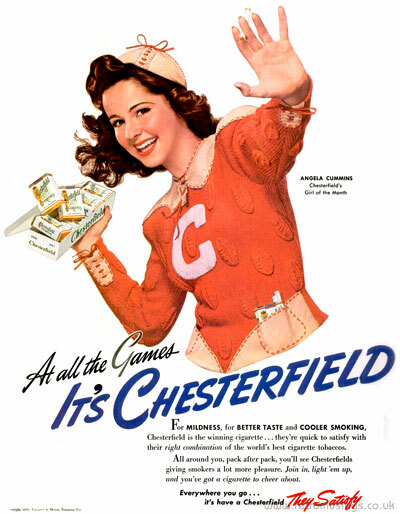 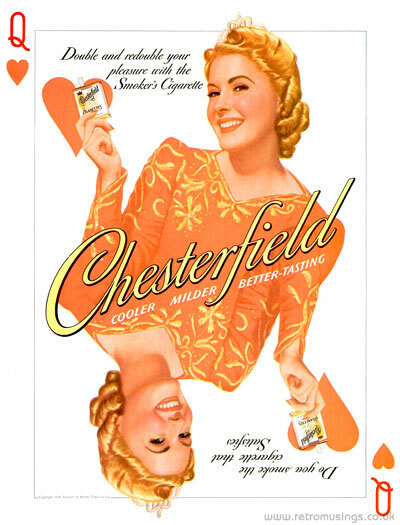 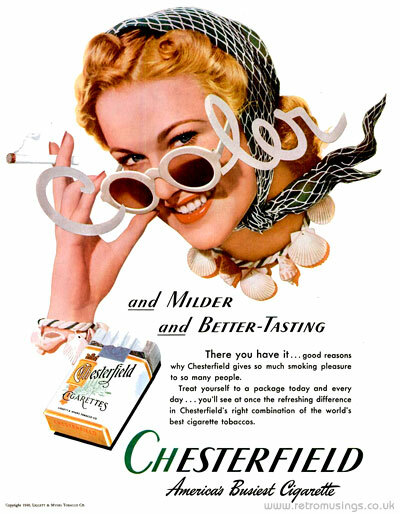 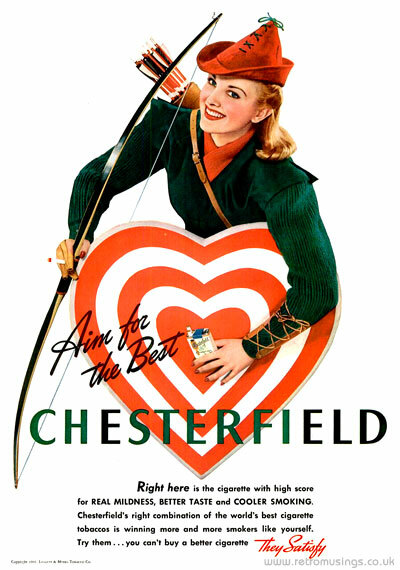 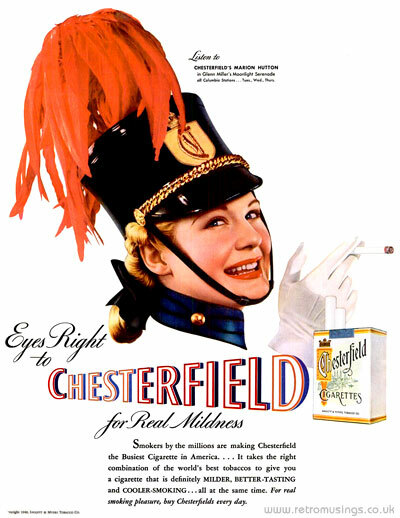 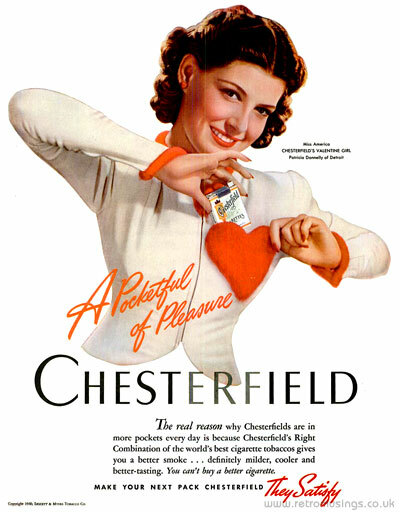 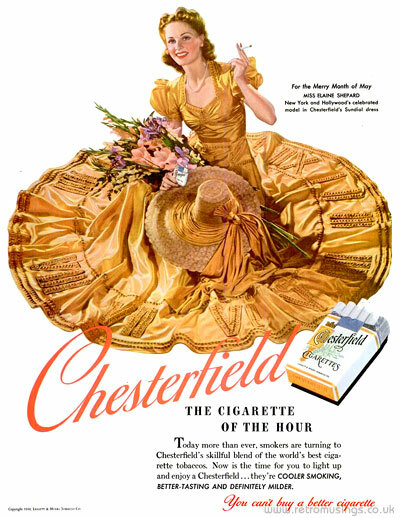 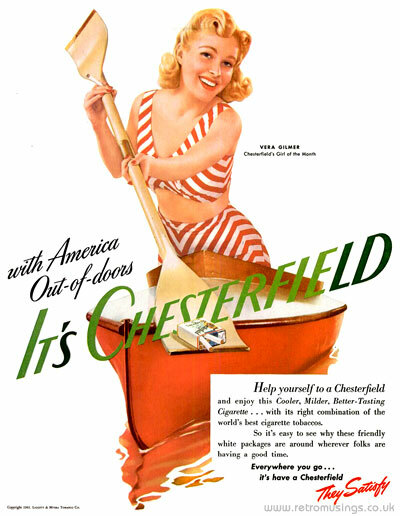 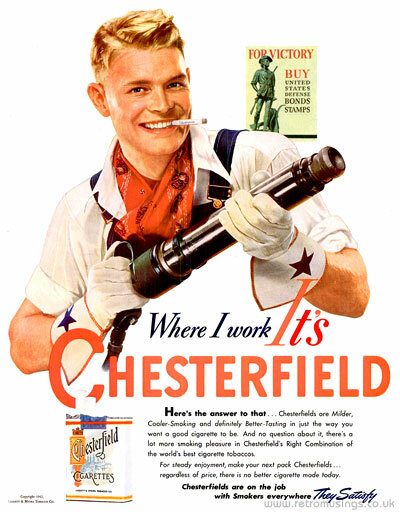 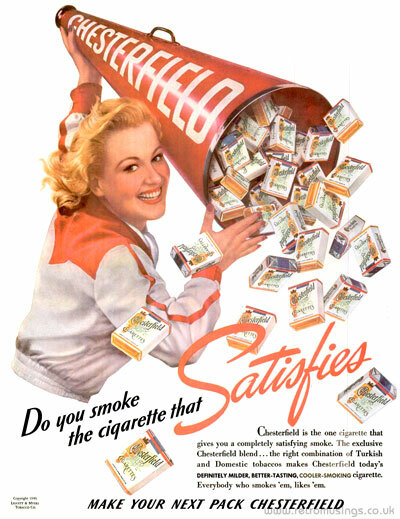 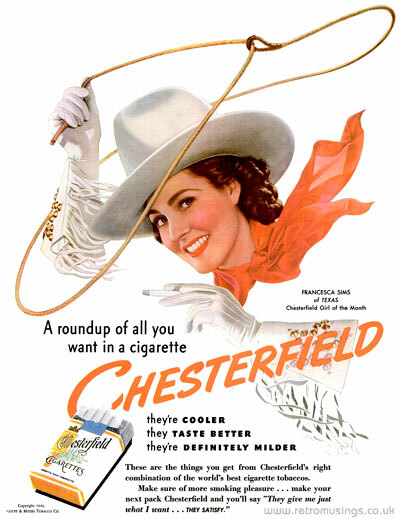 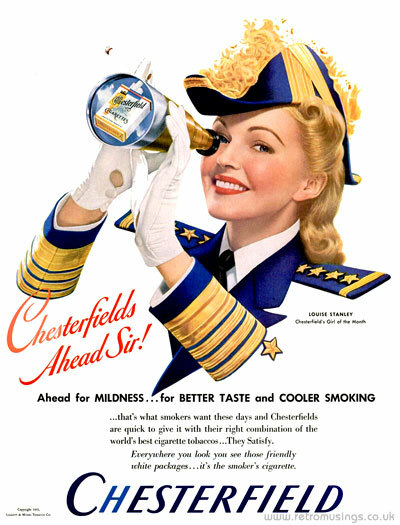 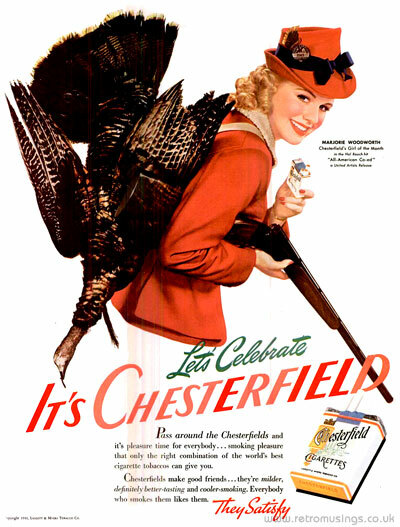 These ads for Chesterfield cigarettes date from 1940-42. 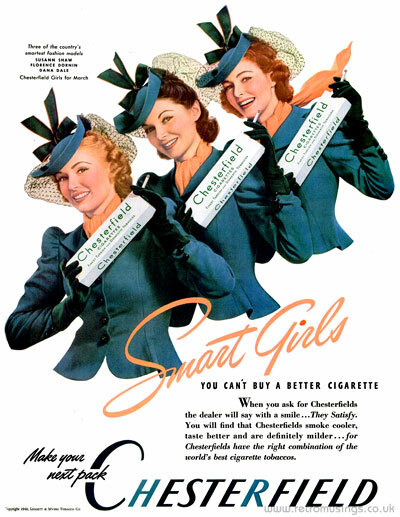 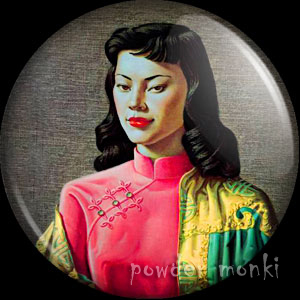 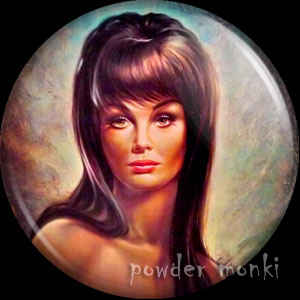 They all had white backgrounds with cut-out portraits, and several of them were titled something along the lines of “girl of the month”. 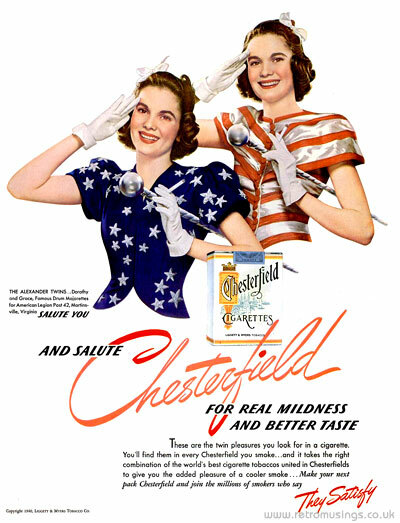 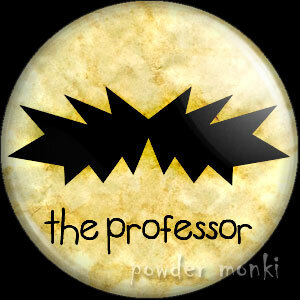 This design continued until mid-1942 when it became WWII themed.